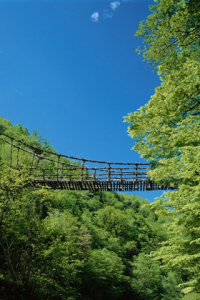 This photo album contains carefully selected photographs featuring scenes of suspension bridges from all overJapan. From the distinctively classic, vinemade Kazura Bridge and other suspension bridges above the Iya Valley ravines and mountain streams, to the technologically cuttingedge Akashi Kaiky&333; Bridge or the Great Seto Bridge, which connects the islands of the Seto Inland Sea, or even the Rainbow Bridge and the Yokohama Bay Bridge towering limberly above their respective bays. 50 pictures total available. eyeOS7 is an amazing theme that was created with the new OS 7 in mind.